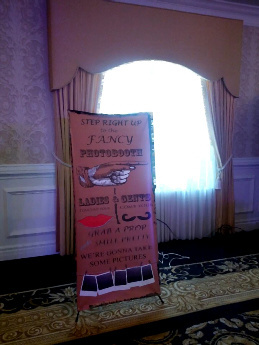 We have two types of photo booths to choose from. 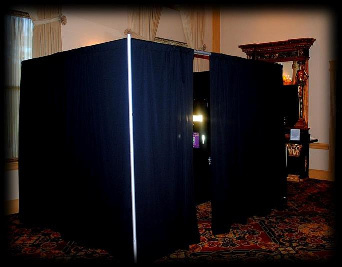 Our photo booth styles include an open air photo booth that can accomodate up to 8 guests and a closed curtain photo booth that can accomodate 6 guests. 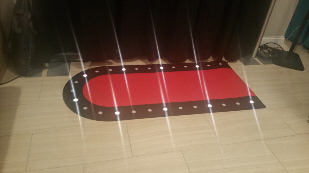 We even have a lighted red carpet for that "Hollywood" look! 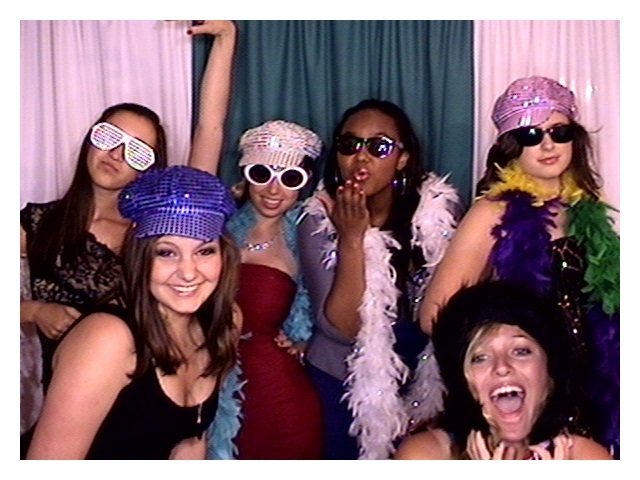 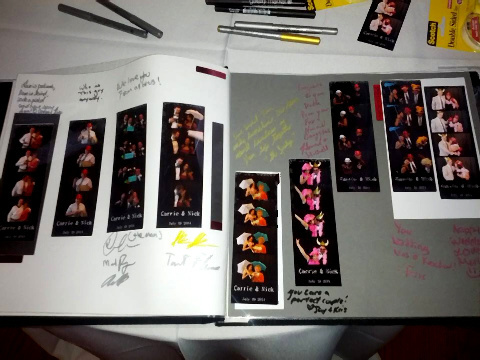 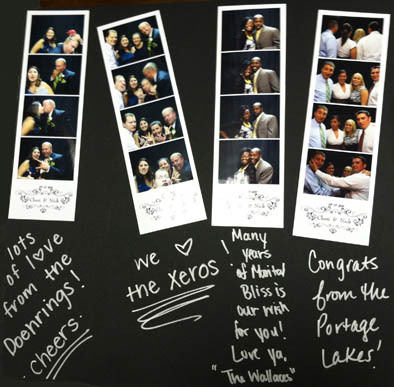 Our "Standard" photo booth includes 2x6 custom photo strips in your choice of color or black and white photos or both. 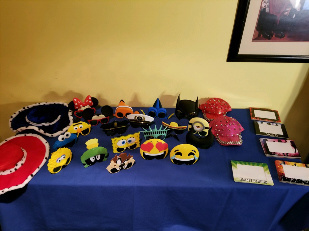 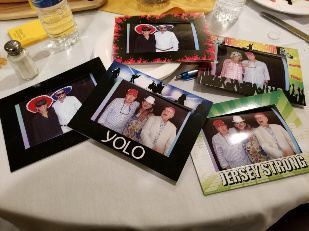 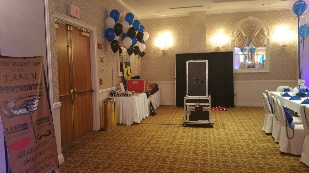 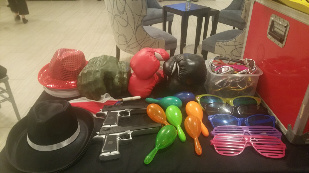 Our photo Booth is available for all events including weddings, Sweet 16s, Birthdays, Bar and Bat Mitzvahs, Graduations, Birthdays, Holiday Events, Special Occasions, Fund Raisers, Corpoate Events and any event that you can think of. 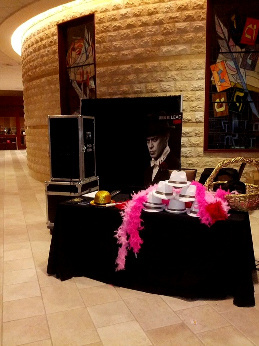 Brand our booth! 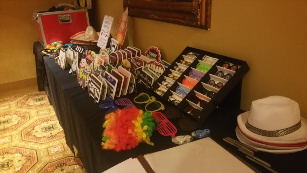 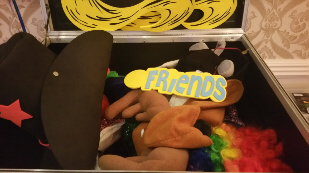 We will brand our booth, welcome screen and photo strips with your business logo, event name, including advertisements to help promote your business and event! 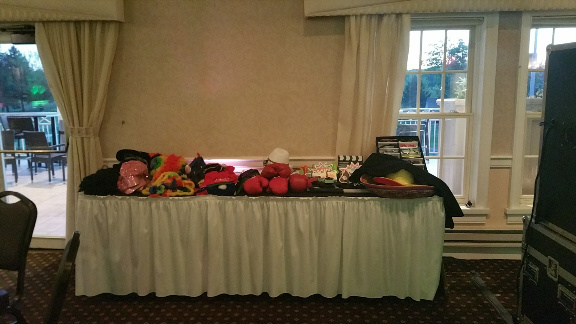 Perfect for grand openings, corporate parties, fund raisers and more! 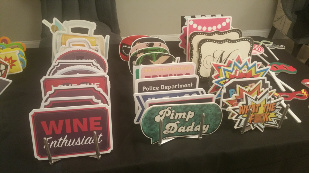 Call us and ask about our custom branding package! 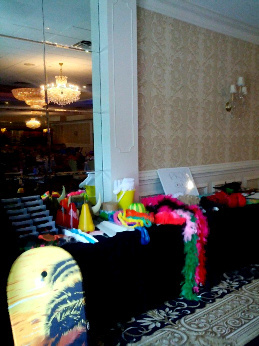 You'll have your choice of many selectable backgrounds that you and your guests can choose from during your event. 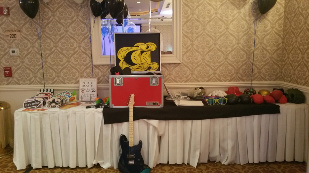 The backgrounds can be themed or corporate logos and many more! 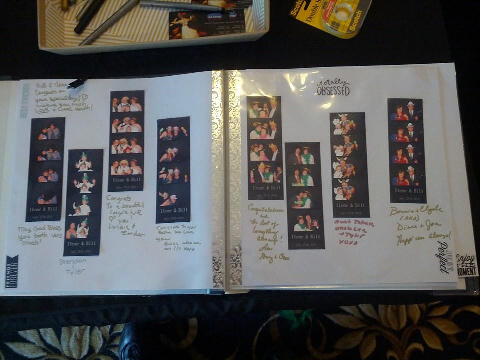 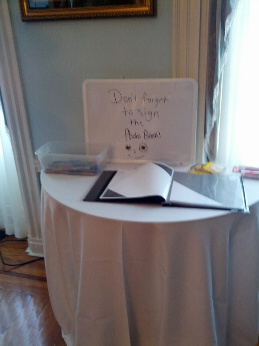 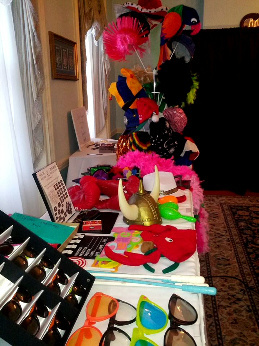 * "Live" slide show of your photo booth photos as they are being taken, for all your guests to see. 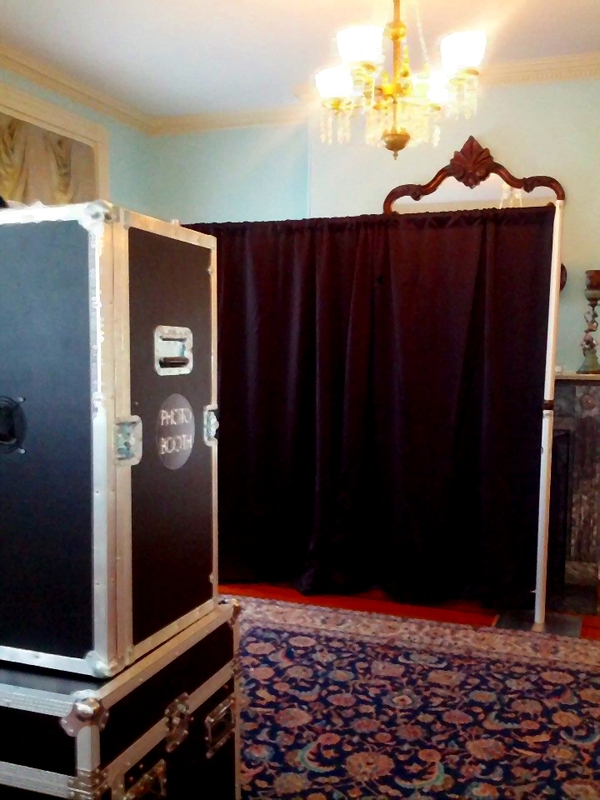 We can do that either on a 32 or 50 inch monitor or even on a projection screen. 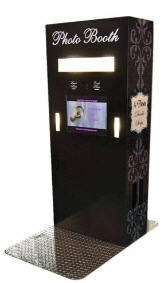 * "Social Booth" Upload your photos to Facebook, Instagram, Twitter, Email & Text Messages Via our social kiosk. 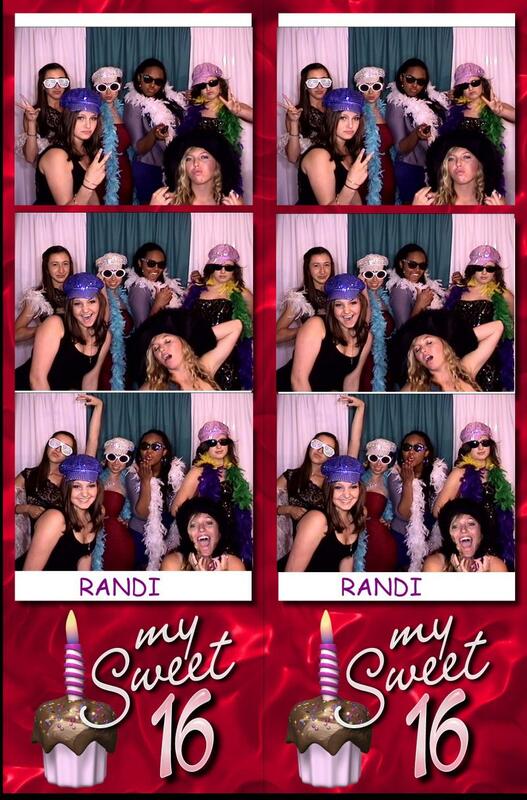 * "Custom Video Welcome" We will record a special welcome from your guuest of honor that will play on the photo booth welcome screen before your guests photo booth session begins and while the photo booth is idle for your guest to see.